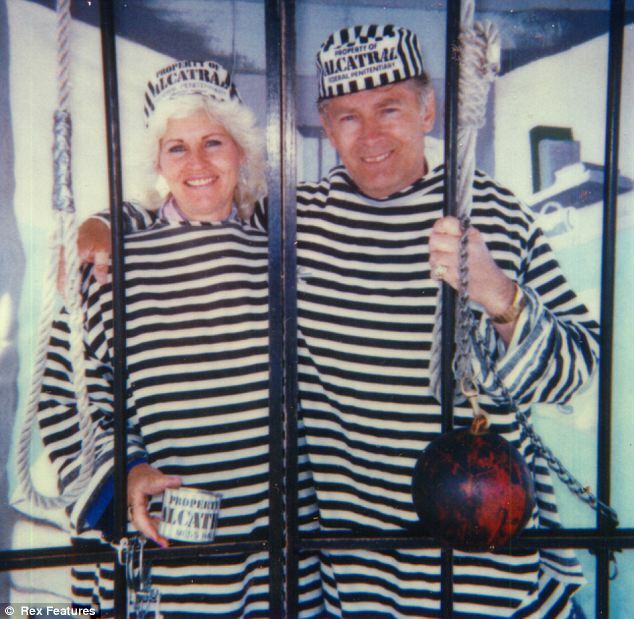 In his months on the run with ex-girlfriend, Teresa Stanley, followed by years with current girlfriend Catherine Greig, Whitey made daring trips that should have ended in his arrest, yet always evaded the FBI's apprehension. The release of these pictures, was an embarrassment to the agency. The incredible images from Alcatraz show just how confident he was about not getting caught." 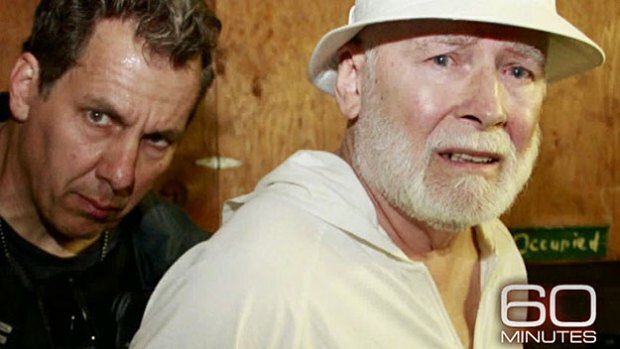 Whitey Bulger told federal officials he dressed in disguise and snuck into Boston 'armed to the teeth' to visit close confidants and 'take care of unfinished business' while he was living in hiding as a fugitive." Charlie and Carol Gasko were an elderly couple who moved to Santa Monica, Calif., sometime in early 1997 to begin a new phase of their life. For the next 14 years, they did almost nothing that was memorable. And as we first reported in November, they would be of absolutely no interest, if it weren't for the fact that Charlie Gasko turned out to be James 'Whitey' Bulger, the notorious Boston gangster." 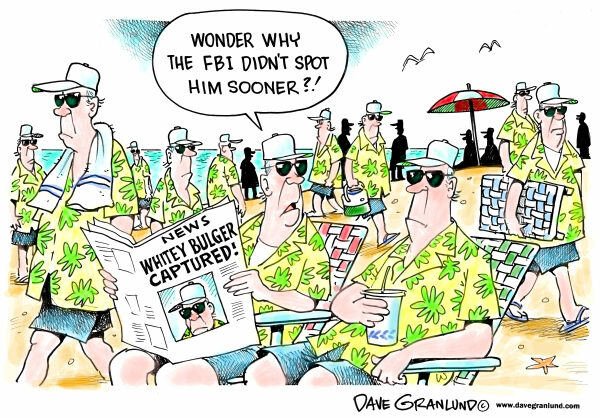 Equipped with many false forms of identification, Whitey was able to parade the streets of Santa Monica without anyone giving him a second look. Both he and longtime girlfriend, Catherine Greig, blended in easily as a retired couple looking for a getaway near the warm ocean air. 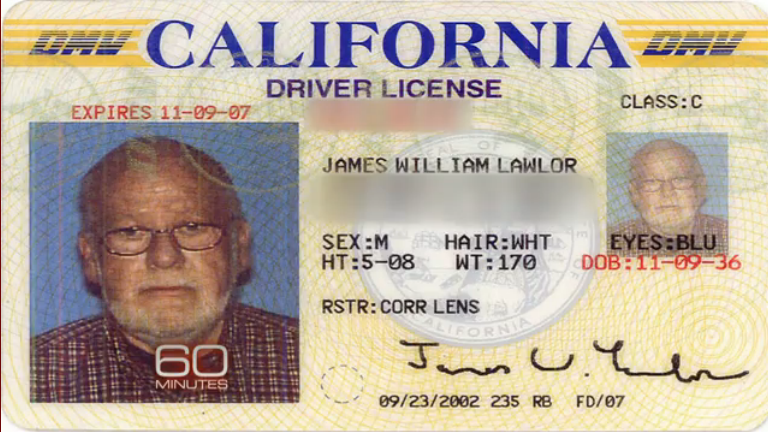 One alias in particular -- James Lawlor -- caught our attention because it wasn't just an assumed name. Lawlor was a real person whom Bulger befriended and then used as a cover. 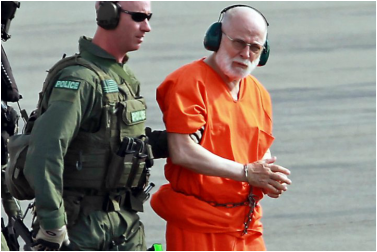 When Bulger was arrested in 2011, he told the FBI that he had helped support Lawlor in return for use of his name, his driver's license, and his social security card." Bulger demonstrated the power of his manipulation skills that he still held while on the run, by convincing Lawlor to provide him with identification. 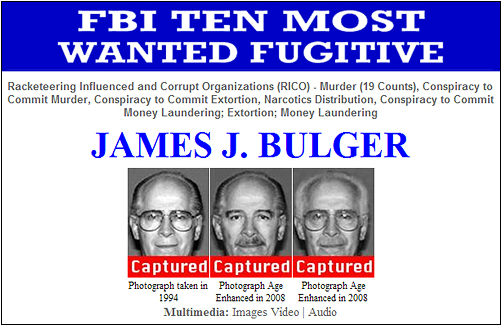 More than $800,000 in cash, 30 firearms and fake IDs were found at the Santa Monica, California, apartment of fugitive mobster James 'Whitey' Bulger." All images above are from the Boston Globe, taken by the FBI and provided by the US Attorney's Office. The above video is from the FBI, 2011. The very next morning [after the announcement] the Bulger task force got three messages from someone that used to live in Santa Monica and was 100 percent certain that Charlie and Carol Gasko, apartment 303 at the Princess Eugenia apartments were the people they were looking for." At that moment we told him get down on his knees and he gave us-- (laugh) yeah, he gave us a, 'I ain't gettin' down on my f'ing knees.'" Even at 81, this was a man used to being in control."